The Good Witch has put a spell on Hallmark that the network still can't shake. 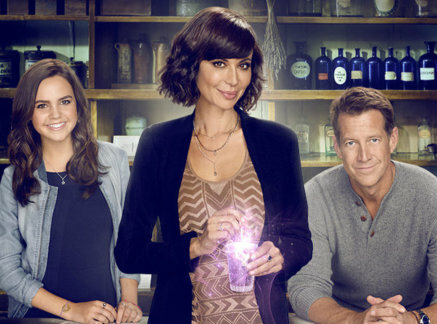 The movie-centric network announced today that Good Witch, one of their few scripted series, will return for a fifth season next year, to little surprise. The series was a strong performer for Hallmark throughout its fourth season, with a 0.21 average and an acceptable 14% year-to-year decline. This puts it below both When Calls the Heart and Chesapeake Shores, Hallmark's other two scripted programs. Bailee Madison, Catherine Bell, and James Denton star in the series, and you can see the ratings for its full fourth season right here. In other Hallmark news, When Calls the Heart has received a spinoff, titled When Hope Calls. The series will air on the Hallmark Movies Now streaming service. It is not yet known who will star in the series. What do you think of these pieces of news? Will you be tuning in to Good Witch season 5 or the When Calls the Heart spinoff? Let us know in the comments below!